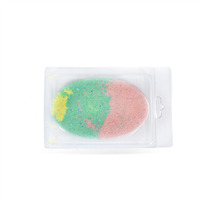 When you bathe with these bath fizzies, the scent of Apple and Green Herbal will make you think you are walking through an apple orchard. Macintosh Red, Granny Smith and Golden Delicious were the inspiration behind these. With clamshells, no additional packaging is necessary. This is a great addition to your fall product line. To large mixing bowl, add baking soda, citric acid, kaolin clay and lathanol powder. Mix well with gloved hands, breaking up any clumps. To one beaker, add Shea 50 and heat in microwave for 10 seconds. To second beaker, mix apple fragrance oil and green herbal fragrance oil. Drizzle both beakers of liquid into the dry mixture. Immediately, mix well with gloved hands. Divide mixture between 3 bowls, each weighing approximately 8.55 oz. To one bowl add 3 mini scoops of red powder. Mix well. To second bowl, add 2 mini scoops of yellow powder. Mix well. To third bowl, add 2 mini scoops of yellow and 1 mini scoop of blue. Fill each clamshell with mixtures. 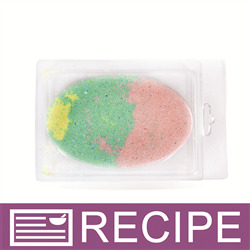 To Use: Remove bath fizzy from mold and add all or half to tub of warm water. Ingredient Label: Baking Soda, Citric Acid, Kaolin Clay, Sodium Lauryl Sulfoacetate, Fragrance, PEG-50 Shea Butter, Blue 1 Lake, Red 40 Lake, Yellow 5 Lake. "These cant be sold thiugh as the bath bomb powder isnt batch certified right?" Staff Answer That is correct. 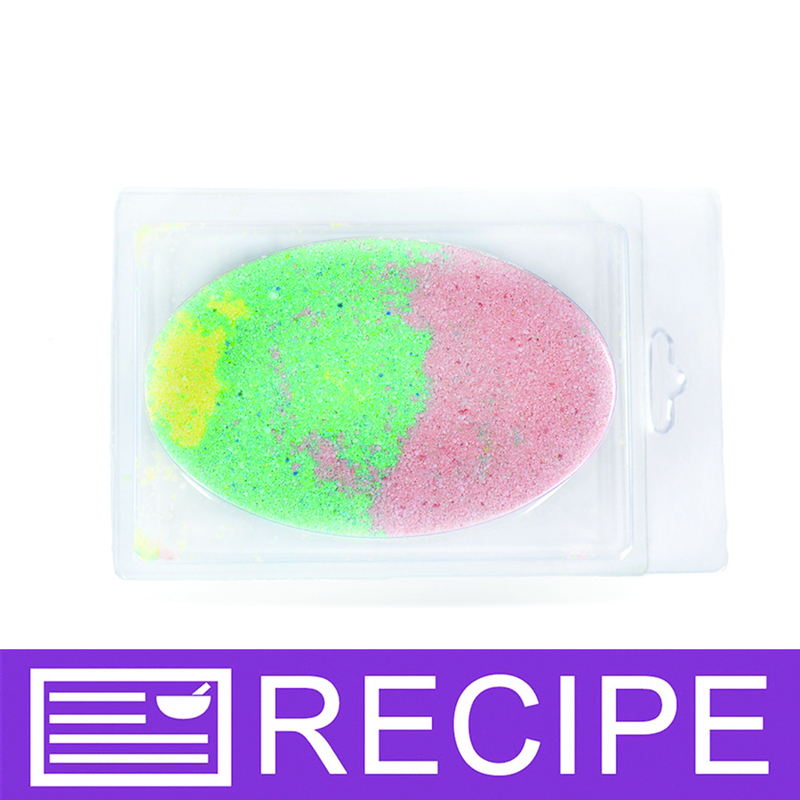 You would need to purchase the bulk sizes of the bath bomb colors if you would like to sell these. You can make them and use for yourself or give away to family and friends.